Have you ever found yourself admiring the very mug you’ve just taken a sip out of? The enamel cup with your favourite Sheffield independent’s logo emblazoned on it, the quirky design that lets you rest your thumb on top of the handle with more ease – it’s highly likely that it is the handy work of Killamarsh-based crockery supplier Coffeecups. Founded in 2001 by the husband and wife team of Kate and Simon Martin, both of whom still run the company today, Coffeecups was established on modest beginnings. 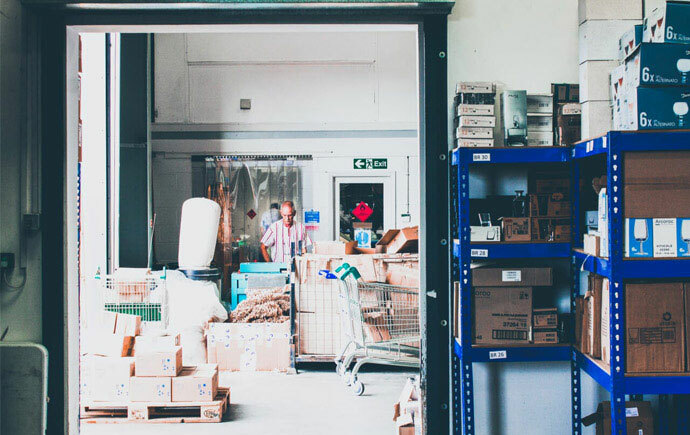 When Exposed went down to the Killamarsh factory, which opened in back 2005, there are humble mumblings from the staff about the owners starting out with a bag of crockery samples and a map of Sheffield, launching their business on foot. Since those early days, the business has grown year upon year. From first impressions of the headquarters, the process seems a slick, efficient operation. Walking in the door, we’re greeted by Shaun Speight, the senior graphic designer at Coffeecups who promptly takes us on a tour. One room on the ground floor houses a selection of its designs, from work commissioned by Sheffield independents to large US orders, there’s an array of mugs here which show the wide-range of creativity from the staff. Walking through the building from the reception, to the sales room and right through to the manufacturing zone, we’re shown to the thing that sets Coffeecups apart from other manufacturers. Shaun explains: “We’ve invested in the latest Kiln technology. This machine allows us to make our customised logos at a very high quality, but ultimately makes them more durable. 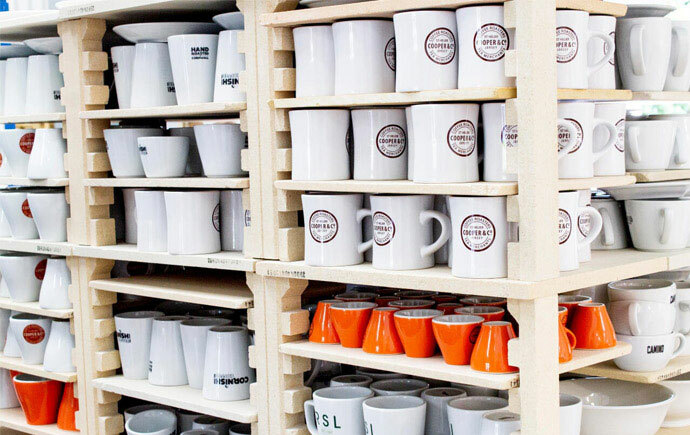 Whether you’ve got a wedding coming up, you need your local business’ crockery branded or you just want to pop down for a cupper, Coffeecups’ door is always ajar.